This is an exciting opportunity for experienced or newly qualified counsellors to join the Brent Talking Therapies Service, which is an IAPT service delivering psychological interventions for anxiety and depression within the borough of Brent. We are looking for enthusiastic practitioners, with strong clinical backgrounds in brief counselling treatments and IAPT primary care experience to join the team. The post holders will be expected to carry a clinical caseload and provide brief focused counselling treatments for common mental health problems at step 3 level of the service. The postholder will receive clinical and managerial supervision via the Senior Counsellor and Lead Counsellor. The post holders will be expected to offer appointments to clients during early mornings and late evenings as part of extended hours clinics offered by the service between 8.00 am to 8.00 pm and do one evening clinic a week. We welcome applicants who want to work part-time the proviso that Wednesdays be one of the days offered as well as either a Tuesday or a Thursday. 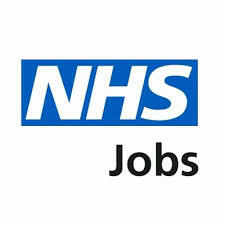 We are looking for applicants who have enthusiasm for and experience of working in a primary care setting and within an IAPT service, who are adaptable, enjoy variety, and are able to work independently as well as within a team context. Candidates should be competent in providing brief focused counselling using an evidence based approach eg focal psychodynamic, client centred, solution focused, humanistic. Applicants who can deliver therapy in other languages are encouraged to apply. The post holder must hold a counselling qualification from a recognised and accredited counselling training provider and be registered with the UKCP, BPC, HCPC or an equivalent professional bodies and/or accredited with BACP in order to be shortlisted.